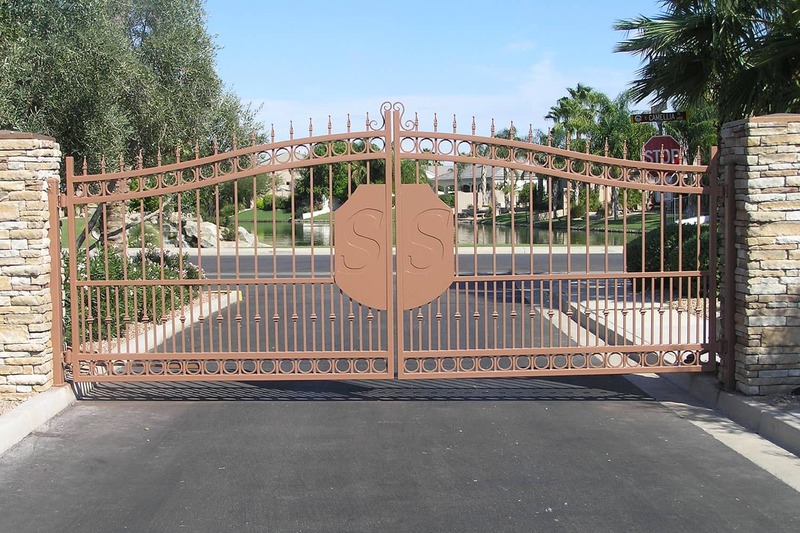 Gated community entrance with the logo on the gates. 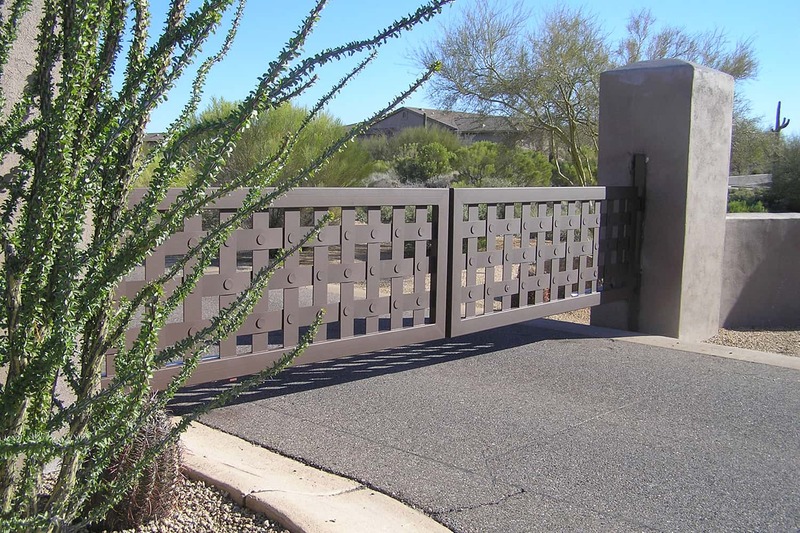 Decorative basket weave design with steel strap. 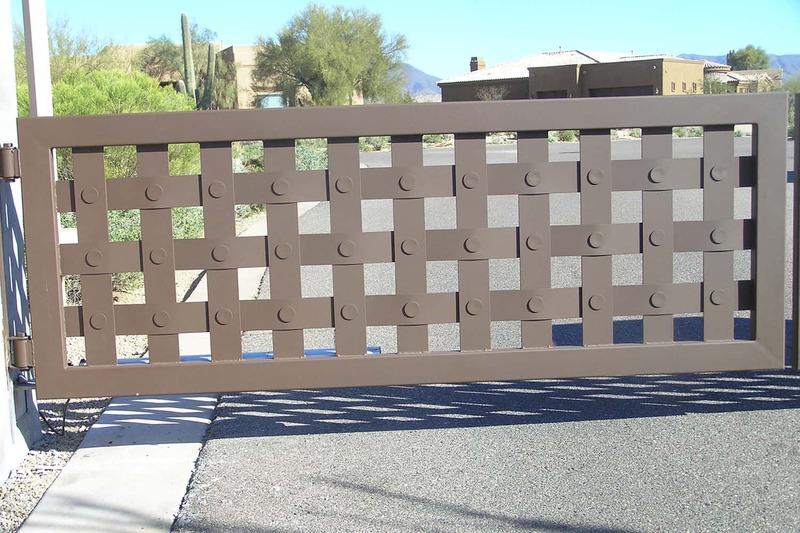 Side view of driveway gate with decorative basket weave design with steel strap. 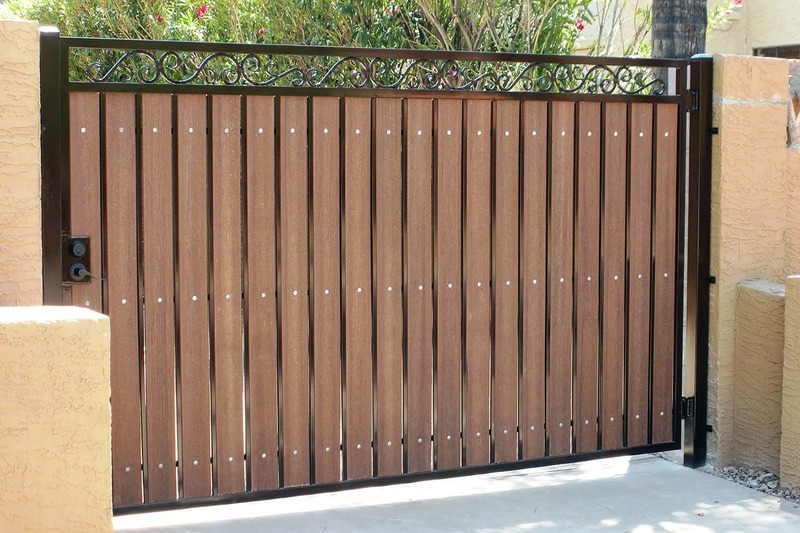 A rolling driveway gate with white cedar wood privacy slats. 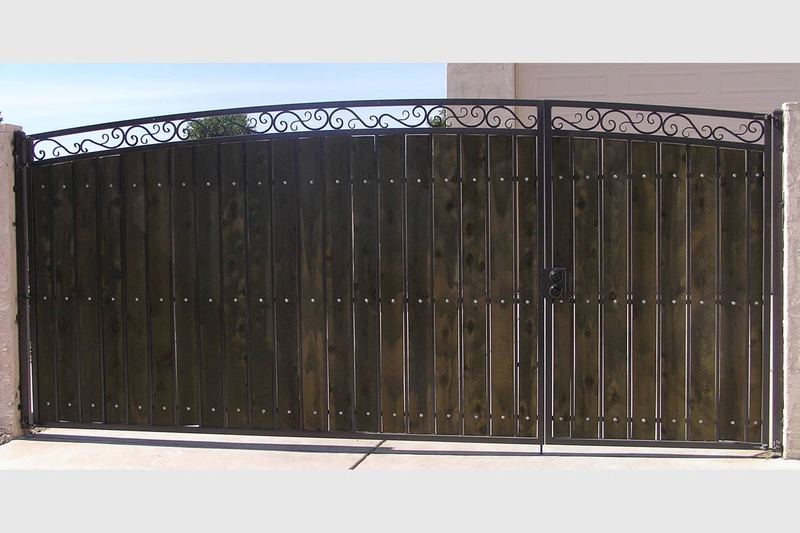 Decorative 3-rail with scrolls and single swing drive gate. 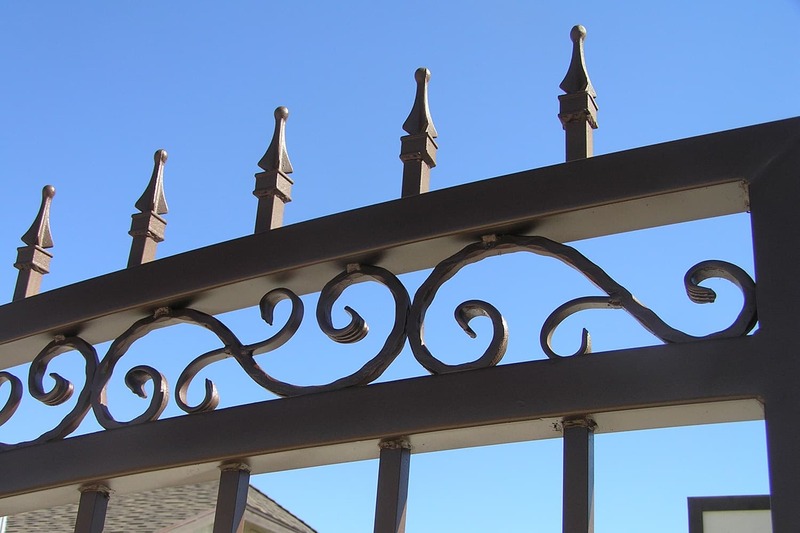 Decorative wrought iron driveway gate close-up. 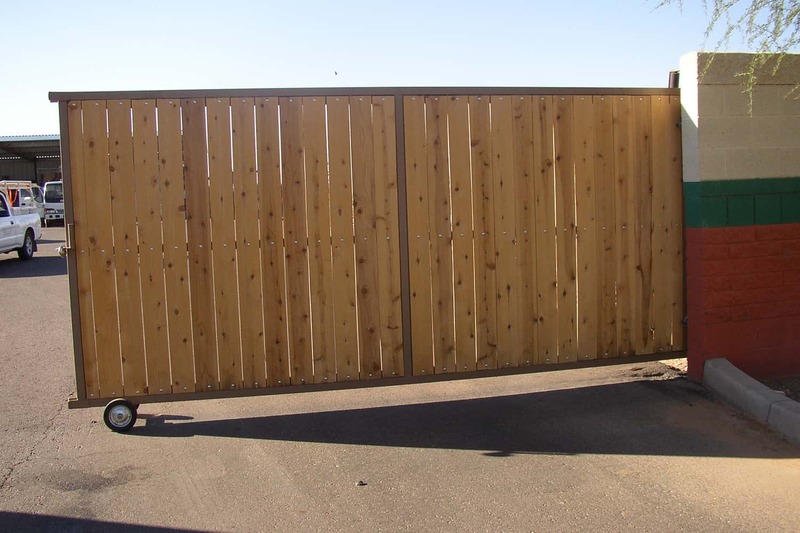 Decorative black RV gate with light cedar. 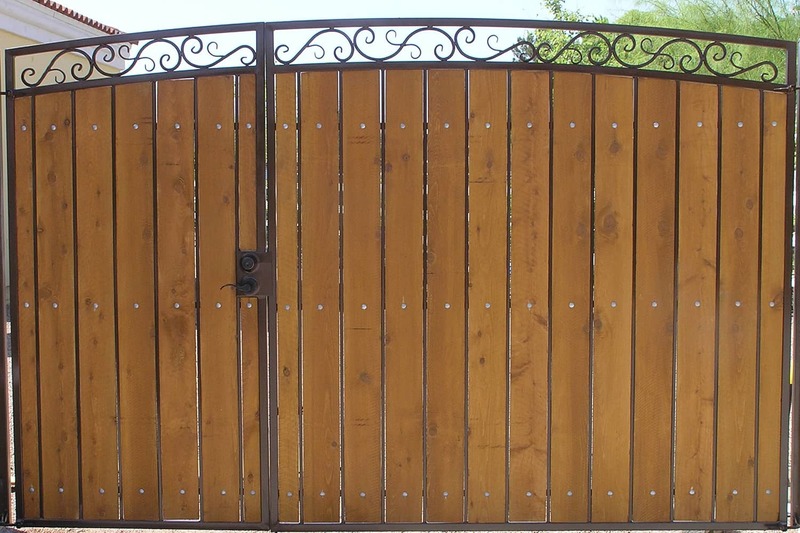 Decorative RV gate with walk gate with dark stained and sealed wood. 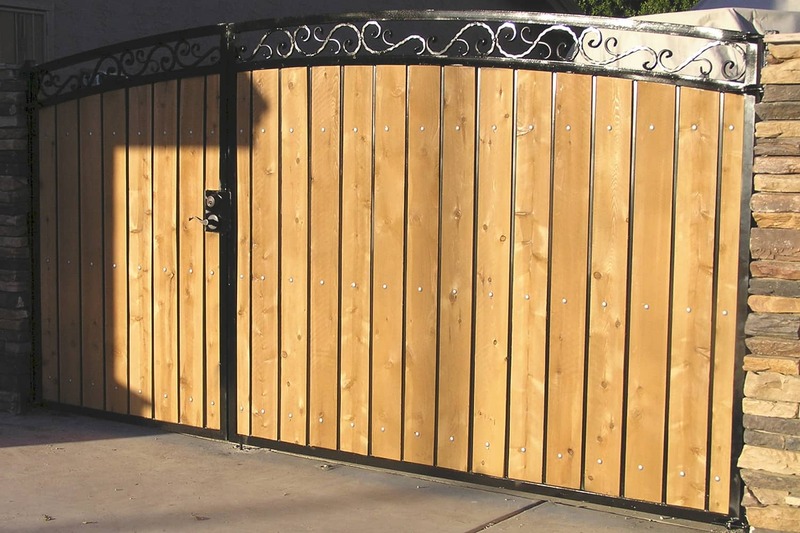 Decorative RV gate with walk gate with stained and sealed wood. 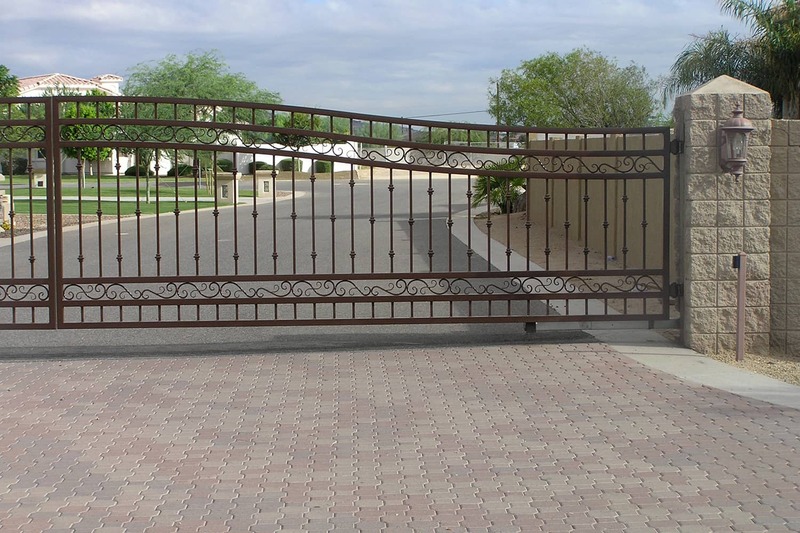 Decorative wrought iron driveway gate. 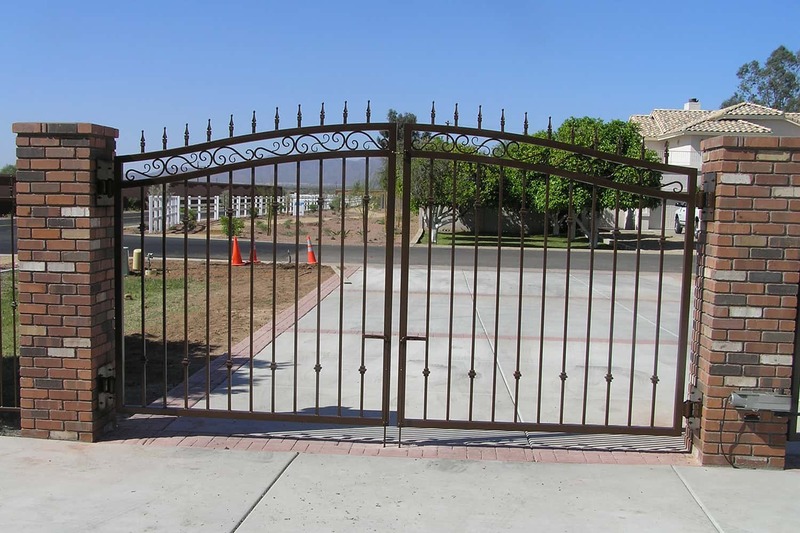 Decorative wrought iron community entry gate.